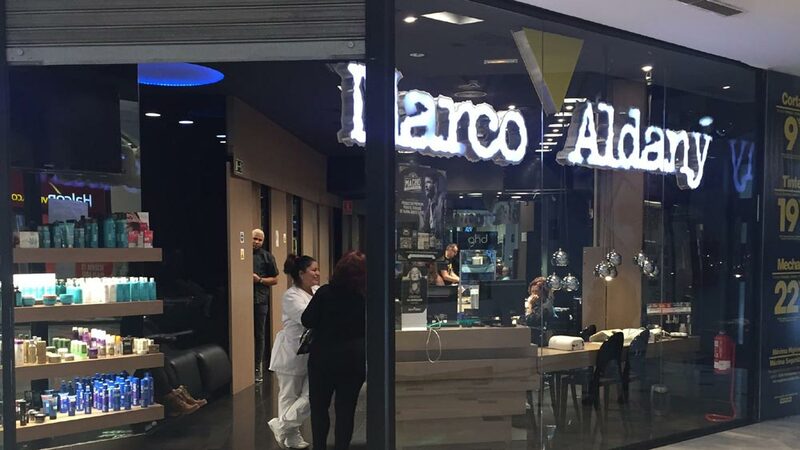 One of Europe’s Leading Chain of Hairdressing and Aesthetics based out of Spain, Marco Aldany have more than 400 salons worldwide. With its avant-garde, urban, current and innovative image and excellent services have made them the key firm that drives the business of aesthetics and beauty in Europe and now in India. Marco Aldany is bringing their expertise at every level. Since its birth, in 1997, we opted to be the benchmark in the sector; broke with the traditional concept of hairdressing and revolutionized the panorama with our powerful brand image, a unique open store design, the walk-in service style and the most complete menu of services, products. Since we are from Spain, our styling techniques are different for the hair, our facials at par with any European country. For all services, we use disposables, which from a hygiene point of view, nobody in India at present is using that. A Salon is a salon irrespective of the region; the difference appears in the preferences. The hair colour, hairstyles that the Indian customers want is different from those in foreign. For instance, Indian women like to adorn long hairs. However, things are shifting. The Indians are having great aspirations, in many services they want to attain the same levels that Europe offers. Salon Industry is constantly evolving. There are new techniques for every service, new colours, and new products for facials. As long as there are human beings, everybody needs to go to the salon. Everyone wants to be well groomed and look good. So, the salon industry has a great future. Technology has been influencing the salon industry vis-a-vis, the point of sale is concerned. It helps the salon to keep a track of how many people are coming, how many people are availing services, who has been doing the services etc. Spain is in complete control of all the salons. Our POSS is linked to Madrid so that they can keep a track of every sale that has happened, who has done the sale, feedbacks of consumers. So, technology helps in monitoring all these. Most Companies can’t have company-owned salons, given the expenses and difficulty in expanding. So, franchising helps in expanding the business more profoundly. With its minimized risk and already-established model, franchising will always be a viable model for expansion. Every business needs franchises to grow rapidly. We are leveraging on both traditional and digital media and are using every marketing tool to reach our potential customers, from Facebook, Instagram to newspaper. We are using every tool at our disposal. Moreover, we want to expand pan India and are planning to open 500 outlets in a period of five years.